Unfathomable Beauty is a multiple plate intaglio print that I made in my 3rd and final year of my Bachelor degree at RMIT University back in 2009. It was made with three copper plates and was printed on white rag paper. It’s quite a large print, with the paper size being 56 x 76 cm. It is an edition of 5. 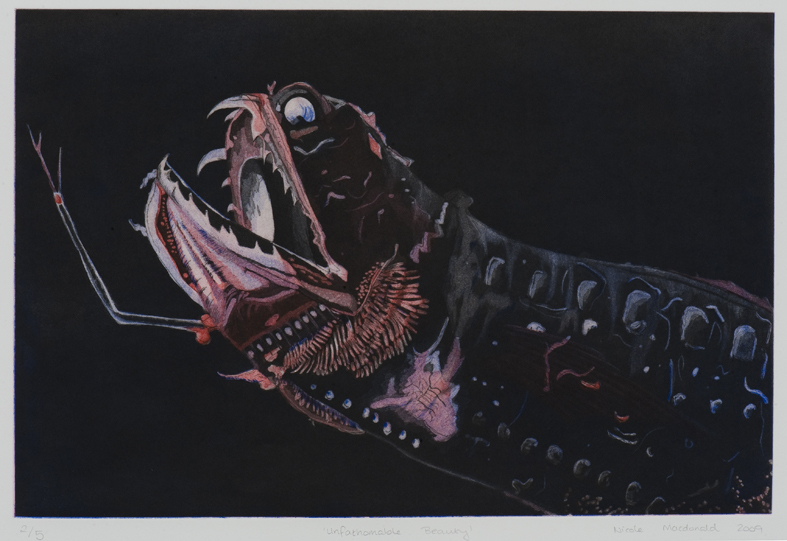 This entry was posted in Prints and tagged art, beauty, deep sea, etching, intaglio, nicole macdonald, ocean, print, printmaking, sea, unfathomable beauty by nicolemacdonaldartist. Bookmark the permalink.